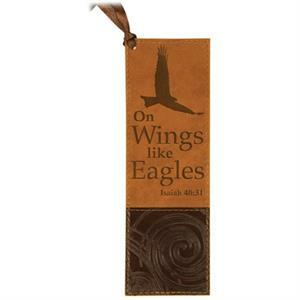 Quote from Isaiah 40:31 On Wings Like Eagles is debossed on supple LuxLeather bookmark, with corner ribbon trim. 2" x 6.5" in clear PVC pouch. Caramel and deep brown.